As part of our ongoing work with Argos around its cutting-edge technology and retail expertise, the team has been busy unveiling an exciting new partnership with Google and the launch of the new voice shopping service. 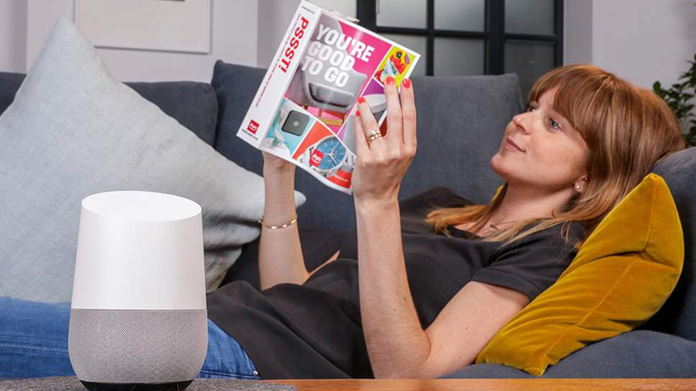 Argos sales data shows that home assistant sales have soared 151 per cent in the last year – heralding the smart home as a staple of British life. To ensure Argos customers can make the most of their home assistants, you can now shop with just a simple “OK Google”-style command. The service allows customers to reserve items for same-day collection using just their voice and a quick confirmation on their phone or Google Home device. We shot the home assistant in its natural habitat (the home) then issued the images, along with a release and some killer stats via Argos’s proprietary data. The tech press went wild with coverage landing on the likes of PA, Mashable, Cnet, Tech Radar, Alphr, The Inquirer and Gizmodo to name a few. Over and out Google.